HRiA helps people live healthier lives and create healthy communities through prevention, health promotion, policy and research. HRiA's vision: A world where social conditions and equitable resources foster healthy people in healthy communities. Get in touch with Health Resources in Action. This brief highlights national data to describe the state of physical education in schools in the United States and identifies key policies and practices that school districts and schools can put in place. This analysis of national data describes the state of recess in schools in the United States. The brief also identifies key policies and practices that school districts and schools can apply and implement. Developed by NNPHI and member institute Health Resources in Action, “Partnering with Food Service to Reduce Sodium: A Toolkit for Public Health Practitioners” provides public health practitioners with a list of strategies, tools, and resources to build new and/or enhance existing partnerships with food service providers to reduce sodium in foods prepared, served, and sold. It is meant to help public health practitioners identify and engage food service providers to reduce the sodium content of food by understanding the context of food service settings as well as the language and drivers of food service providers. Case studies and success stories provide examples of stories from the field, aiming to inspire and generate ideas for implementation. Finally, tools and resources developed for public health and food service professionals are included to impart the experience and learnings of previous sodium reduction efforts. This paper discusses approaches for intentionally promoting an equity agenda throughout the community health improvement (CHI) process, so that scarce resources are directed to addressing the underlying factors that have led to consistently poorer health outcomes for historically marginalized groups. Brittany Chen (Health Resources in Action) examines universal health insurance access efforts across Massachusetts as well as lessons learned for public health systems across the U.S. Examines the impact of “An Act Providing Access to Affordable, Quality, Accountable Health Care” (Chapter 58) in Massachusetts as well as the lessons that informed ongoing implementation of the Affordable Care Act. A systematic review of 153 organizations engaging in healthy communities work to document how they defined a healthy community. 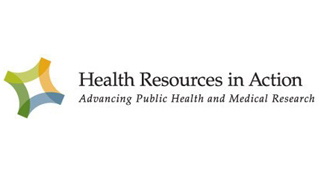 Learn more about the existing body of peer-reviewed and grey literature about the impact of Massachusetts health care reform efforts upon public health practice and population health outcomes.